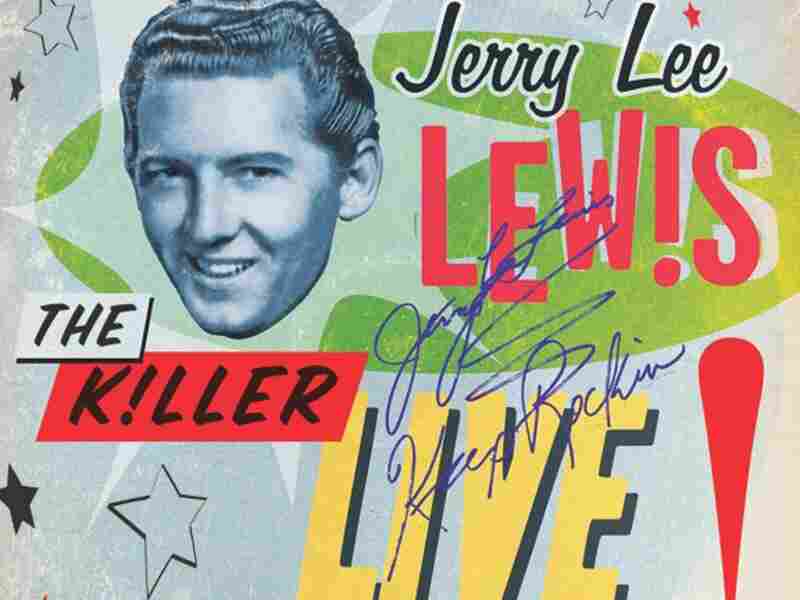 Jerry Lee Lewis: Live, Singing As If Life Depended On It In 1958, Lewis suffered a precipitous decline in popularity when people learned that his new wife was not only 13, but also his cousin. Nobody would touch his records. Then, in 1963, he signed a deal with Smash and it looked like things were getting better. 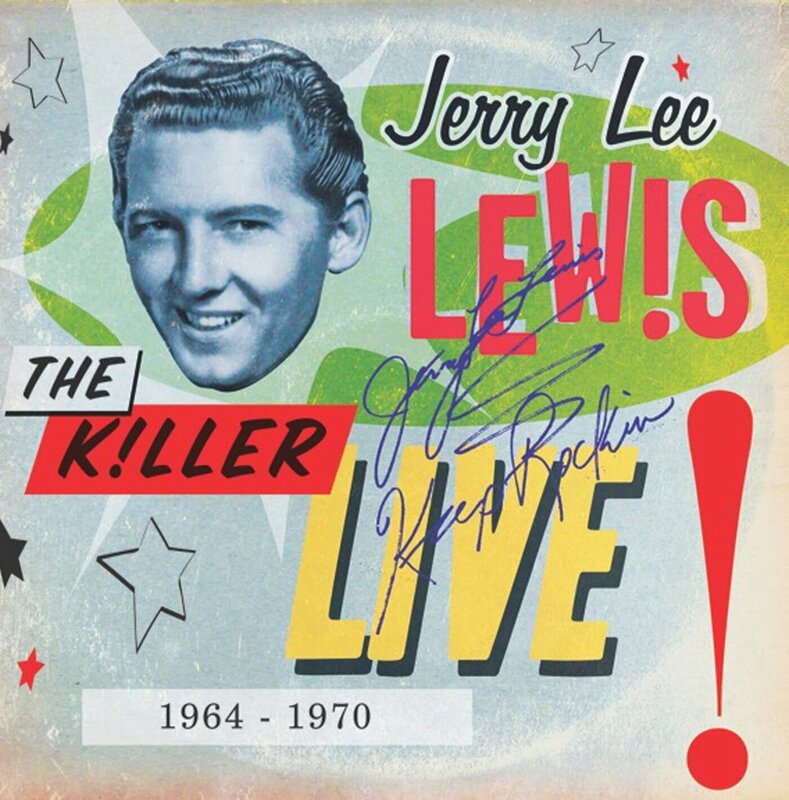 A new 3-CD box set of live performances by Jerry Lee Lewis combines four albums and includes 16 bonus tracks. 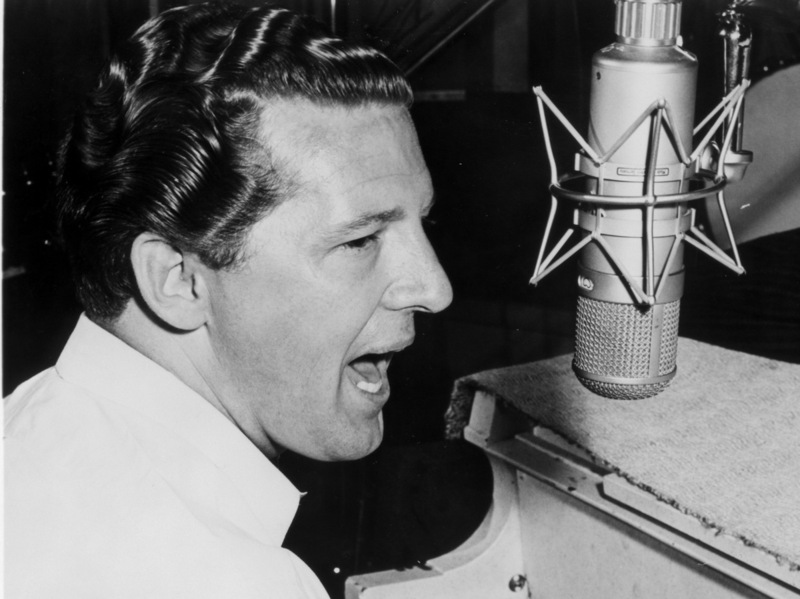 Jerry Lee Lewis shot to fame in the 1950s with hits such as "A Whole Lotta Shakin' Goin' On" and "Great Balls of Fire." It was April 4, 1964, and Jerry Lee Lewis had officially bottomed out. He hadn't charted a record in years, and now, on tour in England and Germany, he was getting paid so little that he couldn't afford to bring his own musicians. Instead, he was forced to use pickup bands in England, and then, when he arrived in Hamburg, a British band called the Nashville Teens was waiting for him. The venue was the Star Club, where The Beatles, who had just leaped into stardom in America, had played not long before. A producer for Philips Records Germany, Siggi Loch, decided that this would be a good chance to record Jerry Lee Lewis' show. He opened up with "Down the Line," and the engineer wasn't ready, so the first few lines Lewis sang were lost. The audience, though, erupted as their hero hit the stage. He then proceeded to cut loose with a set that was mostly oldies — including, of course, some of his own. The resulting album, Live at the Hamburg Star-Club, is 37 minutes long and, because it features a man playing as if his life depended on it in front of a rioting crowd, is widely considered one of the greatest live rock 'n' roll albums ever. Smash decided not to release it. Instead, until it got an official U.S. release in 1980, imported copies were eagerly sought out. What Smash did instead was record another show, this time with Lewis' regular band, in July in Birmingham, Ala. The set list is almost identical, but with a bit more country. The record did well enough that, after a string of country singles flopped, Smash recorded him live again in August 1966. The album, By Request: More of the Greatest Live Show on Earth, was made in Ft. Worth's Panther Hall, a legendary venue with terrible sound, which came through on the record. After this, his career started moving as he and producer Jerry Kennedy found some hard-country material that eventually put Lewis on the country charts. In May 1970, Mercury put him into the International Hotel in Las Vegas and recorded a nearly all-country set from him, although the outtakes demonstrate that he was still performing his hits. But Lewis wasn't a happy man. The marriage to Myra was broken and showed no signs of reviving. His mother, Mamie, had been diagnosed with lung cancer. He went on a three-week tour of Australia in October and returned to find Myra's divorce papers. In a last-ditch attempt to bring her back, he went to her church, Brother E.J. Davis' Church on Highway 61 South in Memphis, and played an hour's worth of gospel, having announced that he was giving up on worldly music. People who were there remember that the congregation was shocked, and not in a good way. The whole performance is subdued and introspective, two words almost never said in the same sentence with the name Jerry Lee Lewis. In the end, his mother died in April 1971, the divorce came through a month later, and Jerry Lee Lewis was back in the studio cutting country not long afterwards.